Apologies if you already know this, but MTR 900 was a common sight on the show scene back in the late 1980's and 1990's. 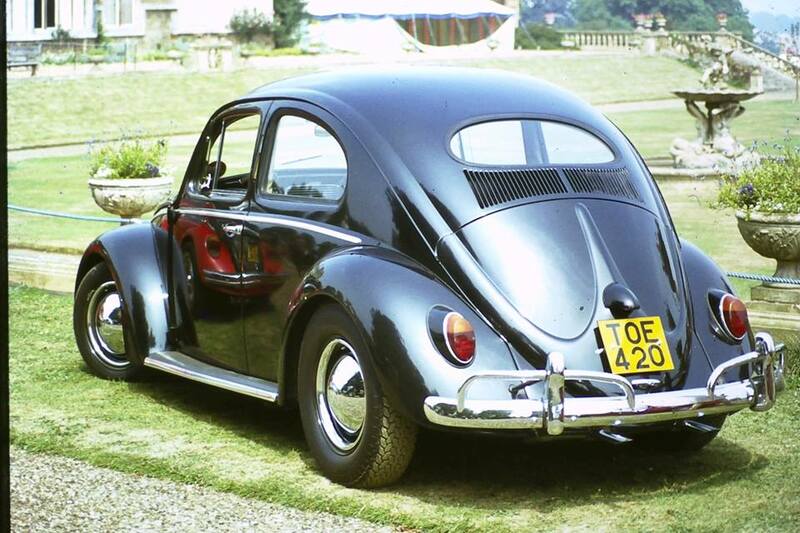 The car was featured in Volksworld, and was reputedly in original condition having had a very sheltered life. From memory, the original owner never drove it in the rain, preferring to use a bike to travel. I think the wings were repainted at some point, but apart from that the car was pretty much untouched. After several years on the circuit, it disappeared, but has been seen again in the last few years, perhaps during your ownership? I'm sorry but I don't know anything about your other Beetle. Why don't you post up some pictures of both cars, I'm sure everyone here would be delighted to see them. I purchased MTR 900 from the original owner in Southampton, a Mr Castel. He bought the car in Southampton, new in 1954 when he was 54 years old. He was 90, I think, when I bought it. A wonderful and very original car! The children had to put their shoes in a carrier bag when travelling in the car and he did say that he would always avoid the rain. His son told me that sometimes they would get caught out and take shelter under filling station canopies. He had the car serviced at Modern Light Cars in Southampton and would only let one mechanic work on it, Dieter Abrams. I think his name was scratched into the sump plate. When I had the car, there had been no repainting. Stone chips under the wings were touched in. The rear lights had been changed for later ones but the heart shaped lights came with the car. I had to do some paintwork when I refitted these. I sold the car to Alf Lilly who added some accessories. I don't know if Alf did any paintwork but I was told that he had, under the wings, perhaps. Remarkably, Mr Castel never had a garage at his home and this car spent time travelling between rented garages all over Southampton. Sometimes it would be spotted travelling between these before disappearing again. It became a legend in the area amongst the local VW Mafia. One I regret selling but I had a 54 RHD Oval Cabrio and a Zwitter at the time so something had to give. It was one of the most original VWs I have ever seen.....................and now needs slamming!...........only joking!! I have just found a picture of TOE 420 taken in 1983 at Bug In 83 which was held at Castle Ashby. I have posted it on Farcebook, hopefully someone will pick it up and post it on here as I am hopeless at this sort of stuff. I keep remembering things about MTR. Been featured in the French VW mag, Super VW March 93. Volks World Oct 92. There is a picture in VW Motoring June 94. The car is also on page 32 of the Grimshaw book, The Volkswagen Beetle. I think...............................just taken from some rough notes. Also it was featured in Athena shops on a poster which was very popular and also postcards. James 1970. A reply would be polite.